Are you looking to buy a soda maker machine for your home? Let me help you! If you can’t resist your urge to enjoy tasty soda, you can produce one at home. You can have complete control over the ingredients and avoid all the unhealthy sweeteners and chemicals in most of the commercial brand sodas. 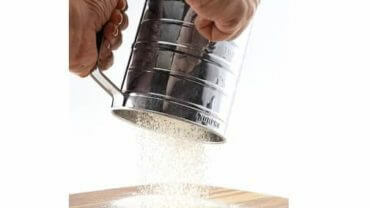 Homemade soda is the best alternative to minimize carbs and calories and have a tasty beverage made for your taste buds. You can also control the carbonation in your tasty soda and create endless flavors for fun activities. A lot of soda makers come at very affordable cost and they only need few supplies, such as special reusable bottles, homemade or packaged flavors, and gas or carbon dioxide canisters to add the fizz. Most units are stylish and small for easy storage. Now you can make your own sparkling soft drinks at home in just seconds by using SodaStream Jet Sparkling Water Maker and enjoy the freedom from plastic waste. 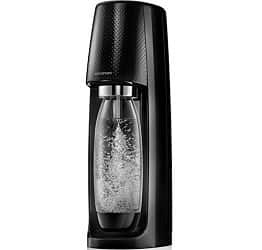 The refined SodaStream Jet Sparkling technology is powered by reusable carbon dioxide cylinder which can easily turn water into well-customized drink. No more storing and lugging. 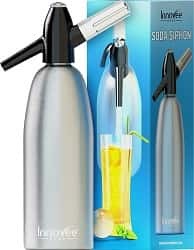 It is the best gift for a soda lover who loves to carbonate drinks at home and prefers convenience. This machine supports 60 liter Co2 cylinder and 130 L cylinder to maximize carbonation. All you need to twist and lock your soda bottle in the machine and pump the push button control to carbonate the drink. Innovate Soda Siphon will definitely be your best companion if you love to drink fizzy sparkling water at home. Of course you can buy a soda outside but what if you just need a few ounces to spruce up your drink or a healthier alternative? You can not only save yourself the cost of soda and end up using it all, but you can also save your health from carbonated drinks which may have harmful additives. It is also eco-friendly as it promotes less use of plastic bottles. 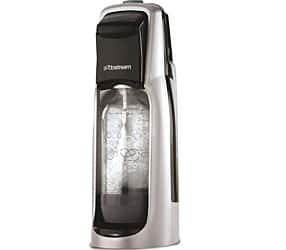 KitchenAid Sparkling beverage maker is designed well to prepare fizzy and fresh drink for you at home as it is powered by SodaStream technology. All you need to pour the fresh water in the bottle and fizz up with a carbonation lever to your desired carbonation level. Add your desired flavor and enjoy the carbonated water just like your favorite Pepsi or Coke. KitchenAid is the leading home appliance brand well known for manufacturing best products. 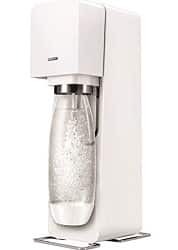 Designed by award-winning sparkling water maker and designer Yves béhar, SodaStream Source presents the sleek and stylish water maker with elegant refinement and function. The LED display allows user to measure carbonation level and adjust it to their choice while avoiding any guess work. It locks the elegantly redesigned carbonator bottle with one push. The refined mechanics are powered by CO2 cylinder to check the level of carbonation with innovative LED indicator. Reduce plastic wastage and protect environment by making sparkling water at home. Enjoy the soothing fizz of refreshing soda water and prepare different flavored soft drinks at your next get-together with this stylish and sleek iSi North America soda siphon. This sleek and stylish siphon is made of stainless steel. It features ergonomic charger holder and black hues with non-slip grip made of silicone. It has pressure control valve for great safety and comfort and measuring tube avoids overfilling. It is designed well for water or to add fizz to wine spritzers, fruit juices, and cocktails. It is also backed by 2-year manufacturer’s warranty. Unlike the typical 14-0z CO2 cylinder, Flavorstation Home beverage maker uses typical paintball CO2 cylinder that can be refilled in most locales. The model accepts only 500ml bottles which can be a drawback for some people but it is best option for singles or couples. This unit is merely 15” tall and can fit in any cabinet. It is also narrow and doesn’t take a lot of counter space. 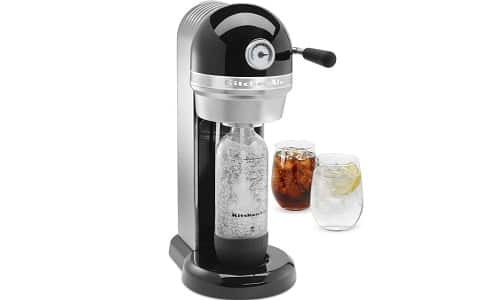 Enjoy all the delicious classic cocktails you love at the comfort of your home with this professional soda siphon and seltzer water maker from Impeccable Culinary Objects (ICO). Experiment your own flavors in style as it combines eight delicious cocktail recipes as well as their histories with recommendations and mixology tips on the best liquors. No you no longer have to depend on expensive store-bought soda waters which have harmful additives. This carbonator makes it easy and fun to make your own fizzy drink at home. It’s time to update your kitchen with the first sparkling water maker in the world designed with stainless steel enclosure and get rid of typical plastic soda makers. Aarke Premium Carbonator/sparkling water maker has minimalist, compact design with three safety valves. It features the lever to carbonate the tap water and release extra pressure from steel bottle. Push the lever and hold until you feel the buzz and unscrew and release the bottle from carburetor. It needs no batteries or electricity. 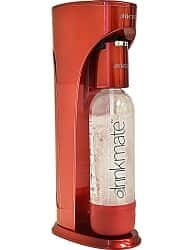 Whether you want to make soda, seltzer, or sparkling water or want to make the whole new drink, you can now go fizzy with Drinkmate. 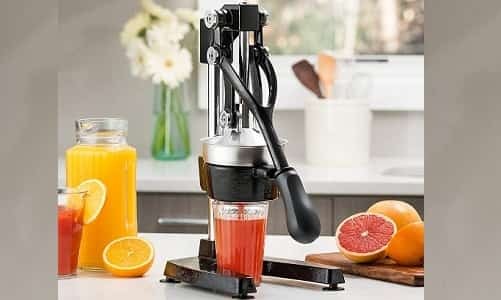 This is the ultimate soda maker which can carbonate any juice, cold drink, ice tea, lemonade, coffee, wine, energy drink, etc. Turn your tap water from plain to fizz within seconds with Fizzi Sparkling Water maker from SodaStream. It catches the feel of original models with slim design that can fit well in any modular home or office. 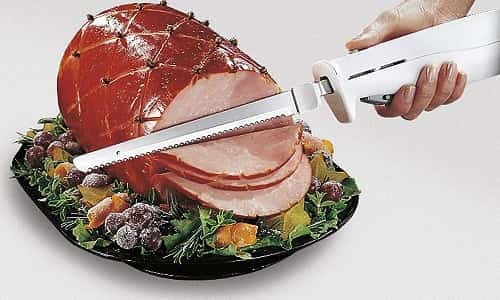 It is also easy to use. Press the carbonation button thrice for light sparkle and around 7 times for big bubbles. Carbonation Style of the Device: When you go for the purchase of a soda maker, the most significant factor for you should be to understand the style in which the soda maker carbonates the same. Most of the devices are known to use something called canisters which means that you got to be extremely careful at the time of using it. If you tend to overcharge this kind of device, it might be harmful for you. You can also go for the electric motors soda makers, if you are too sceptical of the risks involved with the canister soda makers. 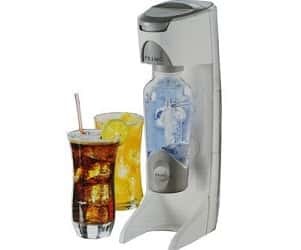 Component Parts: Another factor that you should definitely consider at the time when you are going to purchase the soda maker is to check what are the different parts that are included in the soda maker that you are purchasing. For example, the two most important parts that you will be requiring is the cannister and the bottle. If you have these two you can use the device without the need of spending any more. However, if one of these is not included, you will have to again spend money on the component parts, which will result in a greater cost. Volume of the Device: Depending on the number of people who are there in your family and depending on the number of people for whom you want to make the soda, you should also consider the total volume or the capacity which you can get from the soda maker. Hence, you have to be careful about the total capacity of the soda maker before you actually purchase it. 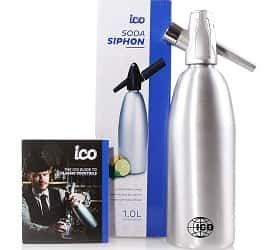 Refill of the Carbonator: It is an understood fact that in case the type of soda maker that you are using is actually a CO2 cannister, then you will, sooner or later require an additional carbonator. Hence, you should be smart enough and keep an additional carbonator in hand just in case you need to refill the same. The Liquids that can be Used: Another important factor that most of the soda maker users tend to ignore before purchasing a new device is the fact that not all soda makers will allow all the different types of liquid to get into the device. 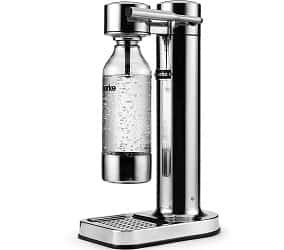 Before purchasing a soda maker you should be aware of the fact that most of these soda makers can only use water as a liquid. If you are looking forward to using different types of liquids in the maker, you would want to look for soda makers made for that specific purpose. Price: When you are buying something from the market you will definitely want much value from it. There are many types of soda makers that are today available in the market. You need to not only choose the one that has all the required features, but also the one which is best within your allocated budget. Clean with the Help of Warm Water: Whenever you want to clean a soda maker or want to remove any kind of unwanted smell from the device, it is advisable that you keep some warm water in the device and clean it. Avoid Using a Dishwasher: To the maximum extent possible, avoid the use of dishwasher. Dishwashers are not safe for use in case of soda makers. Washing of the soda maker in the dishwasher may lead to the breakage of different component parts of the device. Hence the use should be avoided. Clean the Inside with the Help of a Long Brush: The Inside of the soda maker needs to be cleaned with the help of a long brush. You can also use a mild soap for this purpose. 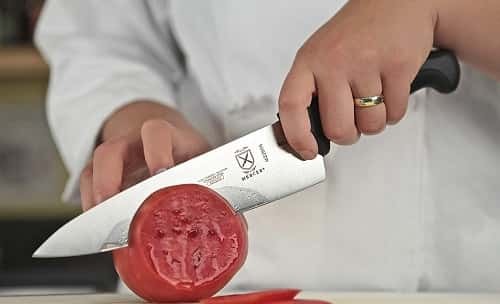 The inside should be cleaned every time you use it. If you do not do the same, the residue will get accumulated and later on there will be difficulty in cleaning the soda maker device. If carbonated drinks from commercial brands seem unhealthy but you still want to stay healthy and hydrated, it is better to go for the best soda maker. If you love soda but not cavities, pick one of the above units for better oral health.